Hey Port Havenites! 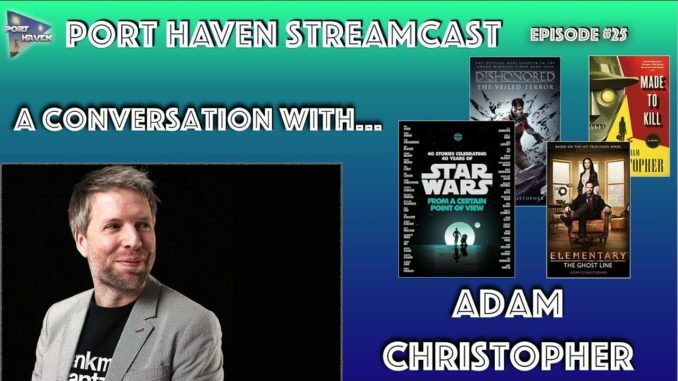 This week we are chatting with author Adam Christopher! He’s a fantastic author of the Ray Electromatic Mystery series as well as writing novels for the Dishonored series and the TV show Elementary. You also may know him for his story in “From a Certain Point of View”!